Anyone who has followed me for a while will know that I’m a big fan of Rick Stein so it was with some excitement this week that I watched his new series “From Venice to Istanbul”. 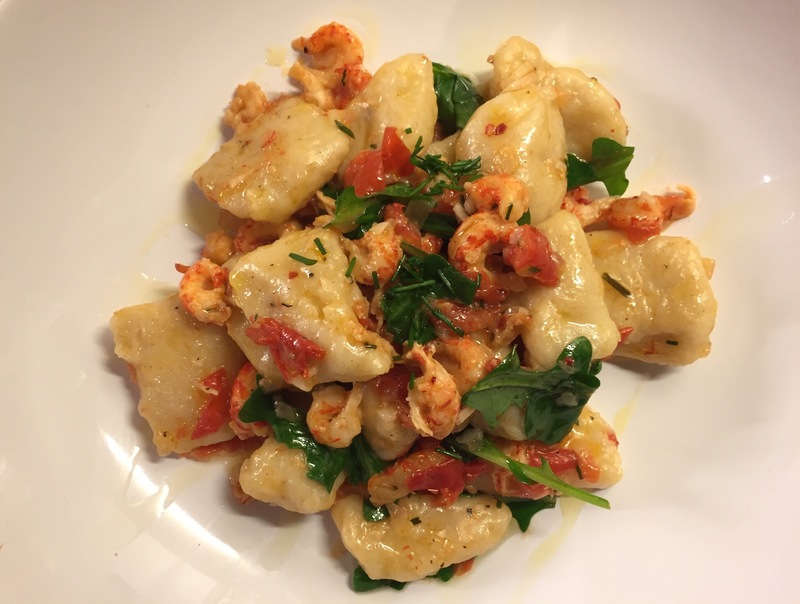 Amongst the myriad delicious things that Rick cooked were some Gnocchi with crab, it looked absoutely delicious and pretty straight forward so I thought I’d have a go too. I couldn’t source any crab so instead I used crayfish and basically made the rest up as I went along. Making the gnocchi was really simple. 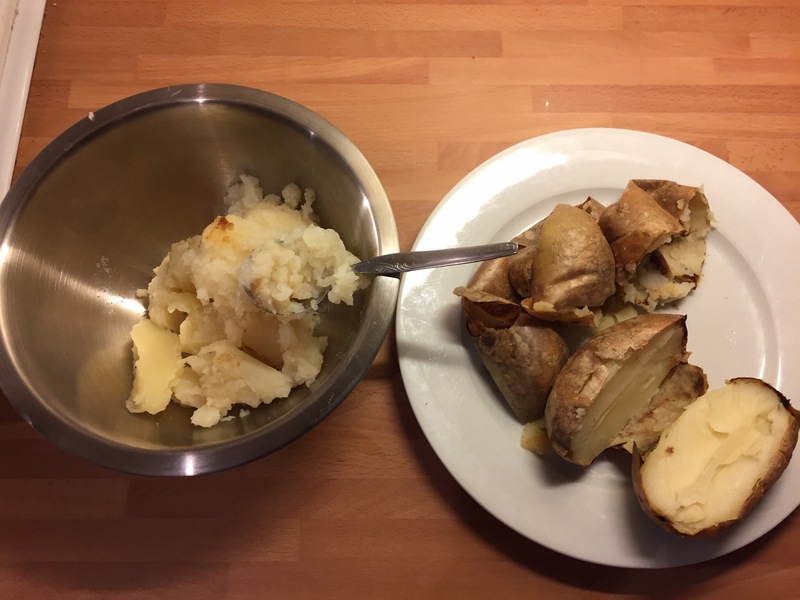 I baked three potatoes then let them cool an scooped the flesh into a bowl, seasoned with salt and then mixed with a beaten egg and flour until the mixture came together to form a stiff dough. Then I rolled the mixture into long rolls about 1cm thick and cut them into 2cm pieces. Once portioned up as above I slid the gnocchi into boiling salted water, they are ready when they all rise to the top. Meanwhile I got on with doing the crayfish sauce. 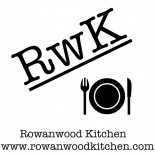 I diced half an onion and a clove of garlic and let them sweat in a good glug of olive oil with a few chilli flakes, then I added a handful of chopped cherry tomatoes continued to cook a while longer before adding the cooked crayfish and a good knob of butter. After a few minutes i added the cooked gnocchi, a handful of rocket and a good squeeze of lemon and seasoning, then served. 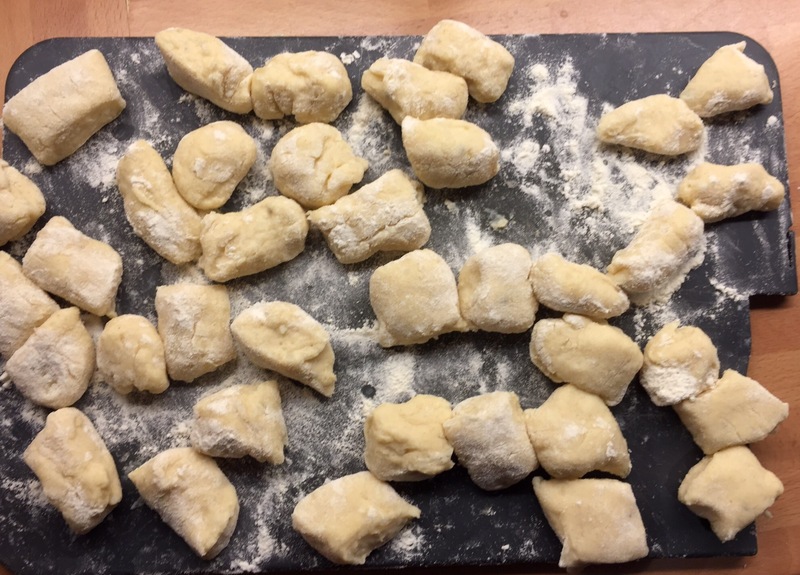 I’ll definately be making my own gnocchi again, so simple and a much better flavour than the shop bought variety. As part of my shopping local Saturday I also went to my local wine merchant ( http://www.lamorbeywine.co.uk ) to pick up a bottle. 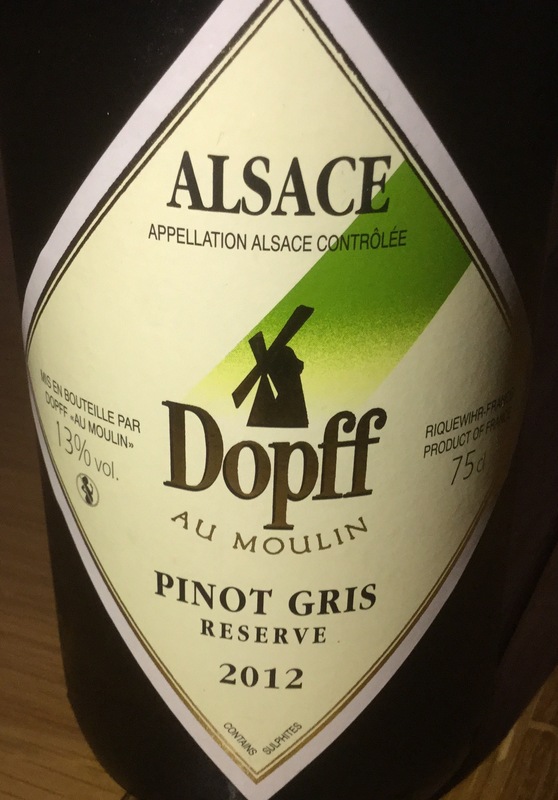 The owner, Bob, usually has a bottle open for tasting at the weekend and on this occasion it was a fantastic Pinot Gris from the Alsace which went fantastically with the gnocci. I love gnocchi so much! These look amazing! Thank you. They were pretty delicious and so easy to make! Can I have this on room service ? Certainly. May take a while though! This entry was posted on August 9, 2015 by paulb in DIY Food, Fish.